Things are always changing, and around here, its my turn. I am working on several new projects, and I am so excited to finally share them with you! In the coming weeks, I am releasing my new Midnight Crafting Newsletter, full of tips and new techniques, coupons, and more. Please be sure to SIGN UP HERE, as I am using a new email service! With this new service I can offer you several kinds of newsletters based on Your preference! 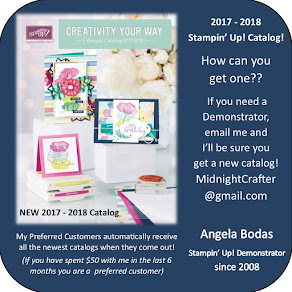 If you only want to know the latest Stampin' Up! promotions, sign up for Promotions; if you really want Samples of great projects you can do, sign up for Samples. And... you can change your mind at any time! Update your profile and tell me what you are interested in Now! What else, you ask? Well... I am also preparing to offer some new classes and clubs. As you know, spending time with my family is at the top of my list of Musts in my life, and after paying the bills with my "day job" I am not left with much free time. ("Yeah, yeah, aren't we All!" you grouch at me, aren't you grumpy late at night :-) So, as I am unable to offer you traditional workshops and classes, I will be offering a variety of Virtual Classes and Clubs, so you can all be Midnight Crafters with me! Now, really, you can do the projects Any time that suits you best - at my house, it happens to be Midnight. I will attempt to make it easy for you to take that 30 minutes, hour, or afternoon (lucky duck!) you have free, and Get Crafty! Some Clubs will be Share Clubs - join up, and you can get all the ribbons, or markers, or papers you've been longing for at a Fraction of the cost!! Some will be Virtual Monthly Clubs where you can focus on a particular interest - the Big Shot, Stampin', or Scrapbooking. 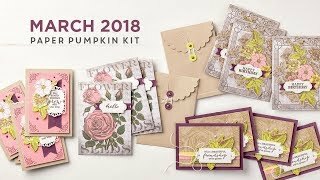 Each month will bring you a new project or technique, and the opportunity to economically build up your crafty stash of tools and supplies while really learning how to use them! These clubs will also be a great opportunity to get the Hostess benefits you might miss out on with a onetime order or craft-stash resupply: every club will have a different hostess for each month! When its your turn to be Hostess, you don't have to clean the house top to bottom, you don't have to plan snacks and drinks for a group of people, and you don't have to clean up afterwards! You DO participate as usual (from the quiet comfort of your couch, perhaps, in your pajamas) and you DO reap the rewards including Free merchandise and Hostess sets! Look for the announcement this weekend!!! I am so happy to offer you these new and exciting opportunities to let the Crafter inside you out to play! I hope you will join me in this new direction.